Mission: To educate and inspire character and equality through the virtue and valor of our World War II American veterans of Japanese ancestry. Go For Broke National Education Center (GFBNEC) is a non-profit organization located in Little Tokyo, Los Angeles, California. 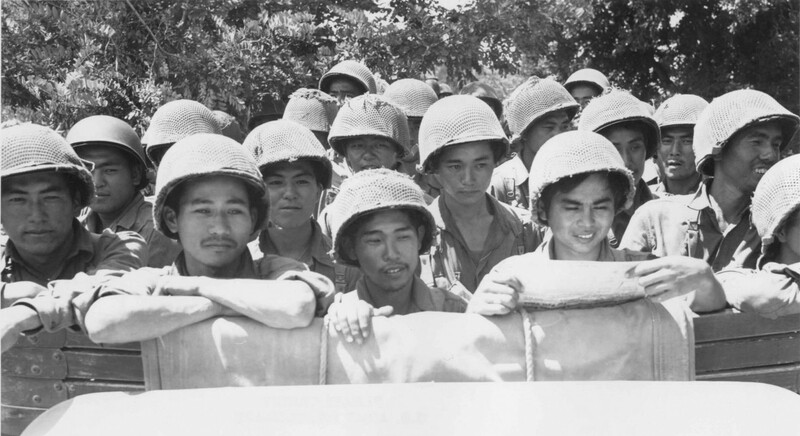 The Go For Broke National Education Center archives holds approximately 1,200 oral history interviews of Nisei (Second-Generation Japanese Americans) veterans from World War II and the Korean War. The primary responsibility of the GFBNEC archives is to collect and make available primary source materials, such as oral histories, historical documents, photographs, and artifacts, for researchers. The Go For Broke National Education Archives Blog is used as an outlet to provide the public with updates about the GFBNEC archives, as well as showcase materials within the archives. For further questions or concerns, please contact archives@goforbroke.org, or visit our website at http://www.goforbroke.org/learn/archives/index.php.